Digital UK, the platform manager of the UK's digital terrestrial television service, has confirmed it will not be reallocating Freeview channel 48 until a review of 'geographically shared' channel numbers has taken place. Food Network UK moved from channel 48 to its current home on channel 41 on the 27th August, leaving channel 48 unassigned. Digital UK has now confirmed that the reallocation of channel 48 has been put on hold while the status of "geographically shared" channel numbers is considered, with a consultation on the matter due to take place shortly. Digital UK wants to consider if rule 8.2 in the Freeview channel number allocation policy applies to such services. Rule 8.2 dictates how a vacant channel number on Freeview is to reallocated, for instance to Public Service Broadcaster channels and channels associated with other channels on the platform (such as sister channels belonging to the same broadcaster). 'Geographically shared' channel numbers are those channel numbers that are shared by different channels broadcasting in different parts of the country. 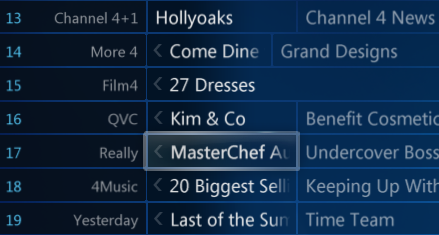 For example, channels 51-53 are used for TG4, RTÉ One and Two in Northern Ireland, but for Movies4Men, Movies4Men+1 and Sony SAB in Greater Manchester. 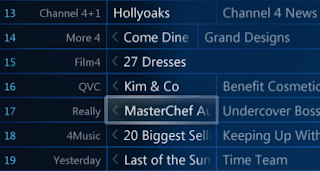 If the forthcoming review finds that rule 8.2 does apply to such shared channel numbers, then these services might be eligible to shuffle up the Freeview channel list, filling channel 48 in the process ahead of other services from channel 55 onwards wanting to shuffle up the listings.